BAGSMART is dedicated to making traveling smarter and easier. The mission is to combine function and style perfectly in one bag, and to ensure high quality in every detail of each product. 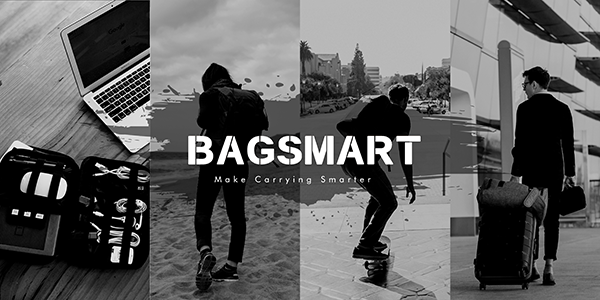 BAGSMART provides the most simple and intelligent solutions for every product line. From the camera, to the laptop bag, the travel packing cubes, and many more, the products are made to last. With the help of BAGSMART, travelers can spend more time enjoying the journey and less time packing for it, Whether setting out on an expedition or vacationing with the ones you love. BAGSMART will be there every step of the way. For more information, visit bagsmartbags.com or contact Adam Hsu at sales@bagsmartbags.com; 702-781-3998.